SRA #135 is a petrolatum-based soldering flux, containing Rosin and organic acid activator. Unlike many paste fluxes, it contains NO Zinc Chloride or Ammonium Chloride, making it ideal for electrical and electronic repairs. The Rosin also leaves a protective coating over the soldered area that can prevent corrosion. More control over where the solder will travel – Wherever you apply the flux, the solder will flow to. Expedites the soldering process – It takes less heat and time to get the solder to flow where you need it. Results in a stronger connection – The flux allows the solder to bond properly throughout the target area. 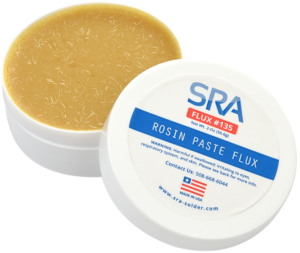 Protects the solder joint – This rosin paste not have to be cleaned off after soldering and the residue actually provides a protective coating from corrosion. Open the #135 Flux “puck” container by turning the lid and lifting off. 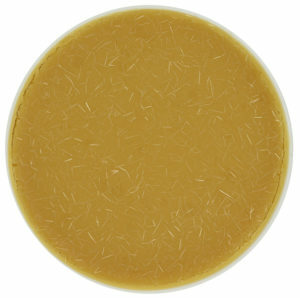 The SRA #135 flux is an amber colored paste. The consistency of the flux should not be gooey or hard to puncture. In other words it should be solid but also easy to dip wires and applicators into. If you see crystallization (rosin hardening) at the surface of the flux this is absolutely normal and NOT an indication of expired or tampered with flux. The patterns and crystallization effect at the surface appear because of the way the acid activators and Rosin/Petrolatum solidify together during manufacturing. There can be variations on the appearance of the crystals, which are caused by the levels of temperature used during manufacturing, as well as ambient temperature. In addition, Rosin is a natural-derived product that varies in color, and this can also affect the appearance of the crystals. The crystals do not negatively affect performance. As noted in the previous section, flux is self-cleaning in that its job is to dissolve oxidation. However, it is recommend to clean surfaces to be soldered prior for the best results. If your parts are heavily corroded than this will be necessary. Prep the surfaces by removing any dirt, rust, grease, paint, and other contaminants with sandpaper, wire brush, steel wool, etc. For many applications, the residues can be removed with just a rag and some isopropyl alcohol. These impurities may prevent solder flow so it is important not to proceed until clean metal is visible. For very critical applications follow these steps to ensure a proper cleaning. Rinse in hot water containing 2% hydrochloric acid (HCI) solution. Various tools can be used as an applicator for the flux including toothpicks, acid brushes and spatulas. As mentioned earlier, one of the benefits of paste flux opposed to liquid is that it will stay put wherever you apply it. Using your applicator of choice, apply the flux to the target areas you are about to solder. Make sure to apply it only where it is needed to prevent solder bridges and unnecessary mess. The exact amount you apply will depend on the application but in general just use enough to cover the entire area to be soldered with an even coating. Remember that the solder will flow to where the flux is. You don’t need the flux to be caked on, shoot for even coverage. And don’t worry if you apply a little too much to a given area as it will get burned off in the process anyway. One of the most common applications and where the #135 flux really shines is soldering copper wire in bare or tinned form. To do this you will you twist together your stranded wire and tinned the tip you’ll want to solder it all together. Follow that by taking the wire into the #135 flux until the part to be soldered is covered. Now apply the solder and watch as it flows throughout bonding the wires together in one solid piece. This is much easier than dragging the iron around and trying to get the solder to flow up and down. Once finished, remove heat and allow to cool. Any residue can be removed with isopropyl alcohol. 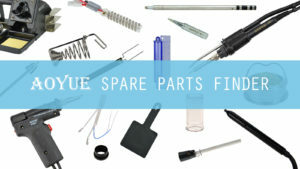 Now your newly soldered wire is ready to be shaped and connected up in your project! Another Application of the SRA #135 is soldering circuit boards and components, which will impart all the same benefits. Simply apply the flux to the holes or pads on your circuit board, component pins, or any other solderable surfaces using the same methods and you’re ready to go! Keep the container closed after use and store in a cool and dry place. If done properly, the shelf life will be approximately 2 years. Since the paste is a hardened form, it will perform longer than a liquid flux would. It’s solid form also means you don’t have to worry about the flux dripping out and making a mess. This is especially important if you’re carrying it around with you in a tool box or repair kit. 1. Is it effective when working to simply dip the solder wire into the flux and solder or is it significantly better to apply to the joint and why? You want to apply the right amount of flux. Too little and you won’t get good soldering results. Too much and you run the risk of the solder flowing where you don’t want it to, since solder follows flux. So to answer the question, you want to apply the flux in the manner that will best ensure you lay down the right amount. Usually this means using a tool to apply the flux to the area being soldered and not dipping the part into the #135. SRA #135 is not runny, and if you dip the part into the flux, you might not get enough flux on it. That being said, I am sure there are people who do dip their part into the #135 flux and get good results. 2. Is it advisable to heat up the flux with a heat gun if it is too hard/solid? You would want to do this very carefully since you don’t want the ingredients in the flux to separate. Quick, intense heat could cause the flux to separate into disparate ingredients. While this is not too likely, it can happen. 3. If the rosin flux becomes dry is there anything you can do to return it to more of a paste? You would want to gently heat it until it softens up, but you need to be careful not to heat it up too quickly or at too high of a temperature. 4. 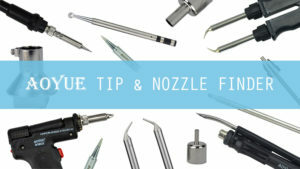 Does dipping your soldering iron directly into the flux help keep the tip clean, are there any benefits? Not a great idea. It wouldn’t be good for the solder iron because if you get too much rosin on a solder iron, it can be hard to clean off. Also, it can cause the flux to separate. Better to put the flux on the part that you are soldering, and to then apply the solder wire and solder iron to the area where the flux is. Of course, the solder iron will usually contact the flux, but you don’t want to “bathe” the soldering iron inside the flux by sticking it in the flux jar.